Funding creativity isn't always easy. It's usually not cheap either. As money and the economy are a near daily worry for many Chicagoans, it's no surprise that music labels of all shapes and sizes are also pinching pennies. More musicians and music industry professionals are turning to the kindness of friends and fans to advance their artistic endeavors. These appeals are seeing a much better response thanks to the online crowd-sourced funding site, Kickstarter. Kickstarter, if you're not familiar, allows musicians and artists (and indeed, any creative thinkers) of all types to create online campaigns asking fans to help fund creative projects, such as a book, an art installation, or even a new album. Each campaign has a set number of days to reach a predetermined monetary goal through donation pledges. Chicago alternative rockers State and Madison turned to Kickstarter last fall when they found themselves with an album's worth of recorded songs and not enough money to produce that albuma physical product (an expensive endeavor that includes mixing, mastering and pressing CDs). The band's experience was one of the many Kickstarter success stories. On April 3, 2012 State and Madison released their new full length record Tar & Feather. The album is a product of both the band and its dedicated fans thanks to the band's Kickstarter campaign. After first pooling all the money that the band members could contribute, State and Madison estimated they still needed more. They set a campaign goal of $5,500, and by January 2012 had accrued donations from 106 people amounting to $6,200. "A friend of mine in Nashville's band did [a Kickstarter campaign]," said State and Madison's lead singer Nickolas Blazina. "We thought, 'Well, we're doing something we believe in and that other people might believe in too.'" 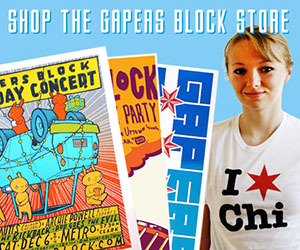 But State and Madison isn't the only Chicago band that's found success through Kickstarter. Chicago rock 'n roll act Jumpsuit breezed past their $5,000 goal in a campaign to master and press their album Too Funky for the Rock and the Roll in December, 2010. Proving that it's not just a band's albums that need funding, last summer, Michael-Phillip Scales, who performs under the moniker Briar Rabbit combined his passion for touring and the environment and raised $6,220 towards converting a school bus into a tour bus that runs on vegetable oil. Even Chicago-based musicians with a national fanbase, like hip-hop artist Psalm One, have turned to Kickstarter in times of financial needs. Psalm One tours the country promoting her music and mentoring children through her music and education initiative Charm Lab. Last winter she found herself overdue on the release of her next album and in need of some new equipment. "Working with kids takes its toll on our gear," she explained. Part of what makes Kickstarter so appealing to donators is a tiered reward system that each campaign is required to offer. For instance, Psalm promised an unreleased mixtape to anyone that pledged more than $20 to her campaign. Psalm planned her campaign around her touring schedule, hoping that being able to promote it in each city she stopped in would help increase the chances of reaching her $8,000 goal. But, like many other Kickstarter campaigns, the funding came down to the wire. She reached $8,000 at 11:30pm on December 31, 2011. Her deadline was 12:01am on January 1. She even implemented a pledge-through-text system in the final days of her campaign. She attributed much of the success of her campaign to the fact that donators' pledges would help the young aspiring musicians that Psalm mentors as well as her career. She also believed her goal was reasonably attainable. "When I told people I was doing Kickstarter, I heard a lot of horror stories about people that had asked for too much," she said. "If you don't reach your goal that may not be an indication that your message isn't right, it's just that you might need to rethink your incentives or what you're asking for." The "message" behind a Kickstarter campaign can take many forms. Whether you're looking to advance your career by pumping out a new album or hoping to help someone else, it's up to the artist. 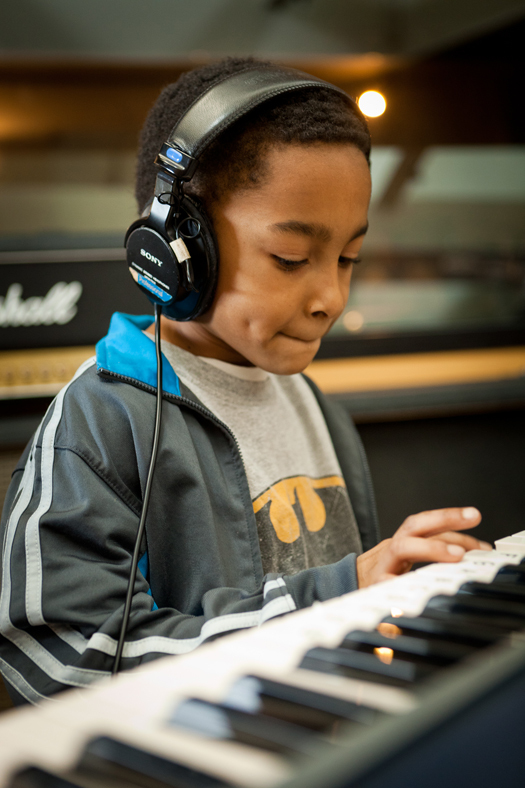 Non-profit organizations are no strangers to fundraising, so it's not a surprise that local organizations like Chicago's Intonation Music Workshop have had successful campaigns. The after-school music education program funded a recent compilation CD from its students after raising $1,643 through the website. "It supplements everybody's money raising strategy because it allows you to do something very project-specific," said Music Intonation Workshop's executive director Mike Simons. Chicago-based audio engineer Bryan Donahue's campaign fell somewhere in between helping himself and helping others. He started a Kickstarter campaign last spring with the hopes of being able to fully develop his recording studio and launch Real Deep Records. According to Donahue's Kickstarter, Real Deep Records seeks to "give people the chance to record their talents at a great quality." After Donahue appealed to his friends and family for their financial support, he decided to push his campaign to the public. He printed flyers to carry with him and pass out to anyone who might be interested in Real Deep Records. While he doesn't know how much money was pledged privately by strangers as a result of those flyers, he did collect some cash donations on the spot which he later deposited into a friend's bank account and pledged to his campaign. Donahue believes that Kickstarter is a "win/win situation" for anyone looking to test the market's demand for a product or service like the one Real Deep Records will provide. Not only does the amount of pledges determine the public's response to the campaign, they fund it at the same time. Testing the market is exactly what the reincarnated Q101 (which now exists as an internet radio station) is doing with its current Kickstarter campaign. The station is looking to raise $300,000 over 40 days to fund the return of the Q101 Jamboree music festival. "I think Kickstarter is an epiphany for businesses," said the station's owner Mike Noonan. "You have the ability to test a concept and see there is a market." Co-owner Matt Dubiel added, "You don't have to fail to find out if something's going to fail." Without the corporate backing that Q101 had before the 101.1 FM radio channel was bought out by Merlin Media and transformed into a news station, the now-internet station is relying on its fans to determine how much they want the festival to happen. With seven days left in its campaign, and just $53,522 raised at the time of this article's publication, Q101's fight to bring Jamboree back still needs a lot of backers. However, Noonan and Dubiel agree that the all-or-nothing design of the Kickstarter's campaign and the fact that none of the money that is pledged is collected until the goal is reached keeps any risk factor out of the project. The business partners are passionate about bringing the once-annual festival back, but are sensitive to the fact that not everyone shares that passion. Kickstarter allows them to reach out to anyone who wants to back the project while still respecting anyone who doesn't. "You can't push it on everyone," said Dubiel. "You can just tell them about [your campaign]. All we can do is share our vision." 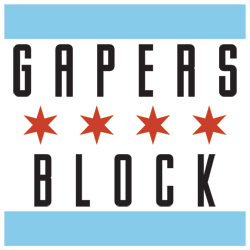 Check out Gapers Block staff picks for Chicago Kickstarter campaigns on our GB-curated Kickstarter page. I was one of the people written about in this article. 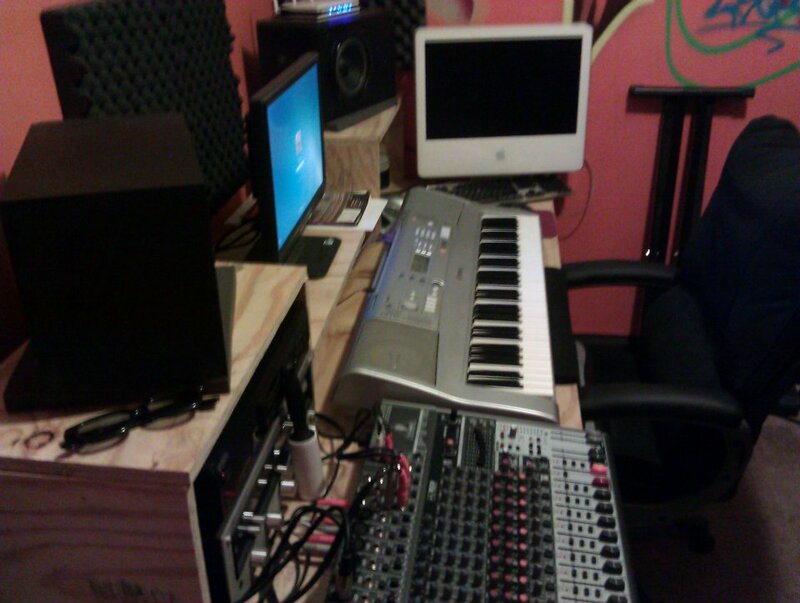 I am the owner of Real Deep Records and after this campaign the studio has taken off and has become a great success. Just a little update to this.